Since Felipe Massa’s announcement last week that he will be leaving Ferrari at the end of 2013, speculation has grown over his future in Formula One. While he is certainly being soundly beaten by his team-mate, Fernando Alonso, he remains a quick and experienced driver, which makes him an attractive option for any team going forward. 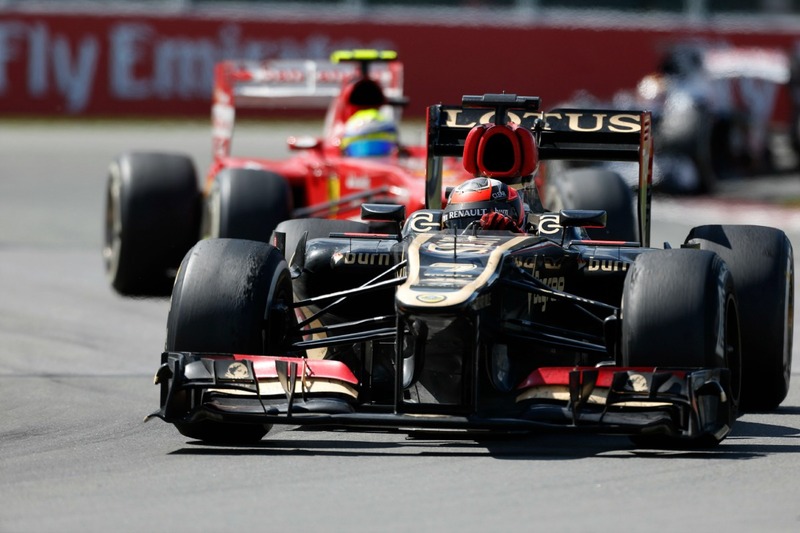 Of the top teams, only McLaren and Lotus have yet to finalise their 2014 driver line-ups. At McLaren, Jenson Button‘s future is not yet contractually secure, but he is not expected to be going anywhere at the end of 2013. Button has expressed his wish to stay with McLaren repeatedly over the last three seasons, and McLaren have had only good things to say about Button, which suggests the relationship is likely to continue. At Lotus, however, there is at least one seat available now that Kimi Raikkonen has signed for Ferrari. There are rumours that Nico Hulkenberg could be set to take Raikkonen’s place alongside Romain Grosjean next season, but as yet nothing is confirmed. Grosjean himself does not yet have a contract for 2014, which could result in an entirely new driver line-up at Lotus next year. In the week since Massa announced his Ferrari exit, he has confirmed that he and his manager have made contact with Lotus and McLaren, among other teams, but that it is with Lotus that the talks are positive. Mass told Globo Esporte, “We are negotiating,.. In my opinion, Lotus has a competitive car, which is what I want. Last week, Lotus team principal Eric Boullier confirmed that he is considering Massa for next season, saying to RMC Sport: “Felipe Massa is also available, so he is inevitably on the list. An announcement from Lotus regarding their 2014 driver line-up is expected soon.